Onn headphones and earbuds use a shared button for Power On/Off and Bluetooth pairing. If you press and hold the button for 3-4 seconds (depending on model), the headphones will power on and you'll see a flashing LED light indicating the headphones are now in pairing mode. The LED will either flash between red and blue or just blue, also depending on model. Android. Go to Settings and turn on Bluetooth. In Bluetooth click “Pair new device”. When you see your Onn headphones come up in the list, tap it and it should be paired with your phone. iPhone. Go to Settings and then Bluetooth. Turn on Bluetooth. Look for your Onn headphones under “OTHER DEVICES” and tap on it to connect. MacOS. On your Mac, choose Apple menu > System Preferences, then click Bluetooth. 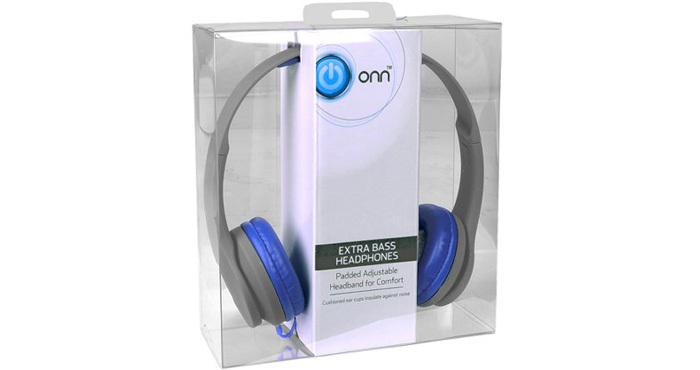 Select your Onn headphones from the list, then click Connect. If asked, click Accept. When the Add a device window comes up, click “Bluetooth”. Look for your Onn headphones in the list and tap on it to connect. Alternatively, search for “Bluetooth” in your Windows search box. When the Bluetooth & other devices window comes up, make sure Bluetooth is on then click “Add Bluetooth or other device” and select your device from the list. When you have successfully paired your Onn headphones to your phone or laptop, the LED on your headphones will stop blinking. And if you're ready to ditch your Onn headphones for something better, but still don't want to spend a fortune, take a look at our pick for the best Bluetooth headphones under $50. I have been using my ONN earbuds for several months. When powered on the message is power on then blue tooth connected. When pairing the phrase is ready to pair. I change phone and now I get the power on but not ready to pair or blue tooth connected. I have tried charging the earbuds, leaving them off for several hours. Is there any thing else i can do? Did you put in pairing mode? It’s not clear from your question, but did you try to put the headphones in pairing mode by pressing and holding the power button for 3-4 seconds (step 1)? If you did, what happened? Okay these things are really making me mad. I can pair them, I can connect them to a laptop. Until today they worked fine.Now they are not paired with anything else. Ever since I got them on the computer they don’t work on my phone. Now today they are paired and connected with my computer. this morning they worked fine. now IF and that’s a big IF, they work on the computer after 30 seconds they cut out and buzz. okay tune them off and back on- they did it again. after 3 times like this I turned them off and back on… they are still connected but now will not produce any sound and my laptops speakers are doing the work. I didn’t change any setting. They are the default speakers. yet they are doing nothing. They worked just fine until I paired them with the laptop.. now even if removed from the laptop they will not connect to my phone and they only work 50% of the time on the laptop… I know enough to know this is not on the computer or phones end. How can I reset ONN earbuds to factory standards and reintroduce them to my devices. This is really getting frustrating since I didn’t have this issue 3 days ago. and to make sure there was no interference from my phone the Bluetooth feature is turned off completely. Is it possible it is being picked up by another device, say a phone or computer in another apartment in my building? Its newest game is to only connect for voice not audio… do I just have bad earbuds? Now it is connected for music but still not transmitting sound the laptops speakers are. I haven’t been able to find any documentation on how to factory reset Onn headphones. The best solution I can offer is to try combinations of button presses that work with other brands to see if Onn programmed in something similar. This could be holding down the Power button and one of the Volume buttons for 10 seconds, or something similar. But this headphone brand gets pretty terrible ratings on Walmart. So you may just want to dump them and buy something better (we have some recommendations in the link in the article above). What was the button combination you used? The headphones shouldn’t require entering a PIN. But if your phone is asking for one, try the standard Bluetooth default PIN: 0000. If that doesn’t work, try 1111 or 1234. I’ve tried 0000, 1111, 1234. None work. I didn’t have to use a pin in the past either. Go to your phone Bluetooth settings and look at your “Previously connected devices”. Are the On headphones there? If so, click the settings icon and hit “Forget”. Then turn off your On headphones and turn them back on in pairing mode. Did that fix it? If not, try our more detailed troubleshooting steps HERE. Yes, the pairing process varies slightly by model, so it’s helpful to know what worked for you. My earbuds had previously been connected to my tablet. That broke, and now we can’t get it to work anymore. Now I can no longer get the earbuds to unpair with the tablet and pair with something else. I was fiddling with the earbuds for about twenty minutes, searching stuff up and found a solution. So what I had to do was power off the earbuds, wait a couple seconds, and then hold down on the power button for about ten or so seconds and it worked. Every time i press search, the name does not pop up on my screen. What do i do? Are you sure you're in pairing mode? On the Onn headphones, you need to turn them off and hold the power button anywhere from 3-10 seconds (depending on model) to get them in pairing mode. Are you sure they’re in pairing mode?